Yes, it truly is one of those occasions when one size will genuinely fit all. Our speaker wants the freedom and flexibility given by using cue or note cards. They allow him to interact more spontaneously with his audience. He can easily make eye contact, smile, gesture or move. Reading from a full script makes that trickier to manage. The result is a more formal presentation which doesn't fit with the speaker's overall purpose; to reach out, to inspire and unite the audience with his theme of gratitude. You'll note that the concluding segment is the full text. It's that way because he sweated over getting the right words down and doesn't want to risk muddling them due to the excitement of the moment! When he practices the speech and finally delivers it he will flesh out the 'opening' and 'body of speech' notes into full sentences. The speaker wants to remind himself of the names he needs to mention in his opening welcome, the important points he wishes to cover in the body of his speech and the sequence that they come in. Without notes he may forget what he wanted to say. The speaker is Joe Brown. He is the Manager of a small company, Brown's Mill. They make widgets and wodgets. The audience is the company staff. The aim or purpose of the speech is to thank them for their work during the year, to foster a sense of togetherness, gratitude and hope. The setting is the staff room. It is an informal occasion. Drinks and finger foods will be served after Joe has made his speech. The theme Joe has chosen to hang his speech on is gratitude. "Despite what we've thought about the past 12 months and the dreaded R word (recession) we've made it through to the end of the year. It's nearly Christmas and we've got a lot to be grateful for. We're here, we have a great team and we're still in business." Point One - April - major order canceled - we survived. Tough decisions had to be made but we stood by each other, were supported by our families and made the necessary sacrifices. Huge thanks to Chrissie for organizing the home care support system. Point Two - September - breakthrough into a new widget market. Fantastic team work - particularly from Doug's production unit - worked all hours to get it going. Credit to all concerned. Point Three - October - new product line - the wodget- introduced. Innovative marketing plan and revised customer service model. Special thanks to Gary for leading and inspiring the marketing team and to Walter for the hours spent ensuring we give the best to our customers. - finishing the year cautiously optimistic but absolutely certain that it wouldn't have been possible if it hadn't been for the way everyone shouldered their area of responsibility. "It's been a tough year but I'm proud of what we accomplished together. Some businesses haven't been able to do what we have done. Thanks to you we'll be going into the new year with strength, to build on our accomplishments and to consolidate our position. Let's celebrate that. It's a gift to be grateful for. And when you leave here you go to another. As Burton Hillis said, "The best of all gifts around any Christmas tree is the presence of a happy family all wrapped up in each other." And that's what I wish for you all! 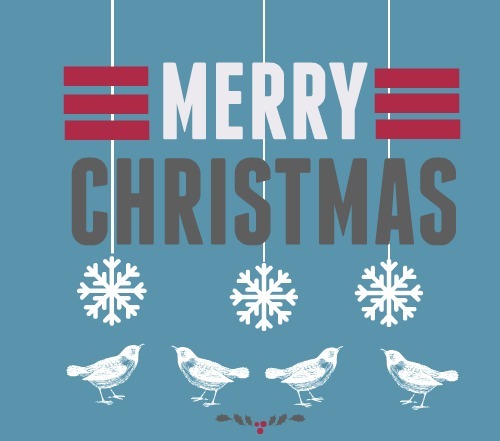 Now let's raise a glass - to us, to our families and a happy Christmas." It's simple, short, and sincere. 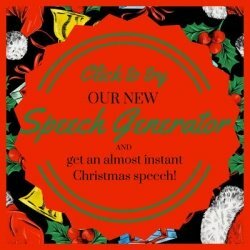 *About The Speech Builder - this is a very nifty app that "builds" personalized speeches. Use it and you'll have an original Christmas speech quite quickly. Find out more. For more about the planning process and preparation click through to this page on Christmas speeches. You'll find the step-by-step guidelines I used to prepare Joe's speech as well as a whole bunch of Christmas quotations, including the one featured here. And click this link for how to make and use cue cards effectively. Don't forget the Speech Builder is here to help if you need it. 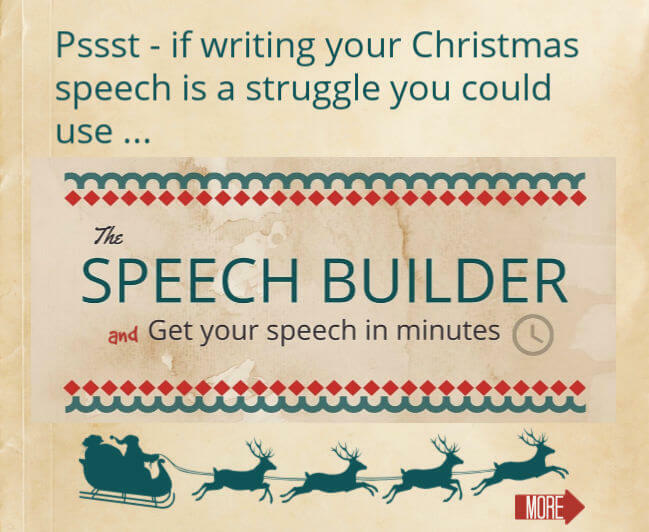 You could have your Christmas speech done in minutes. Find out more.